Today I made a fun birthday card for my Neice, My sweet niece is an author and really interesting person, I think she might actually have her own set of wings! 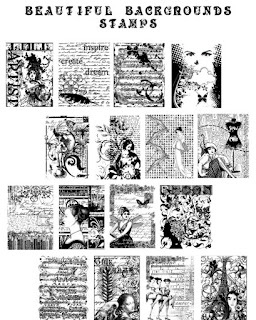 I love these beautiful background collage -y stamps so versatile! and to hold it all together, Best Glue Ever - just a tiny bit holds the heaviest weight papers and it also did a great job with the feathers. 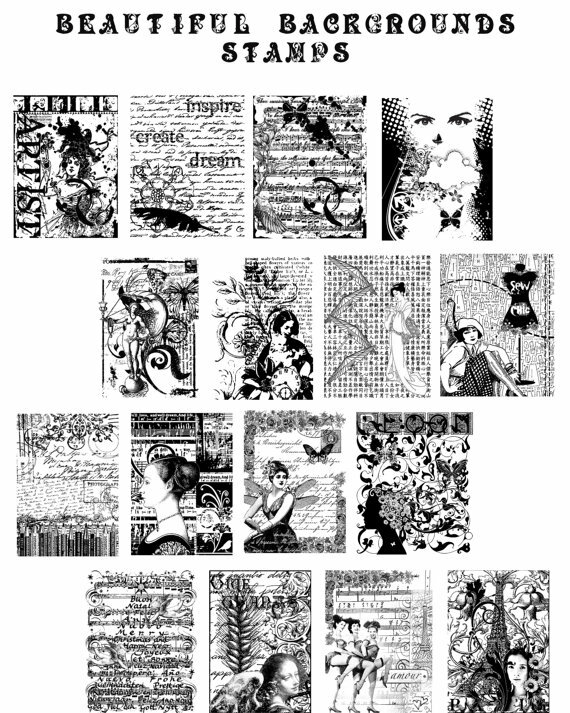 If you enjoy using collage images and them coming out perfectly stamped, you will love using the Gecko Galz Background Stamps, another big plus, 40+ images - $6.00! 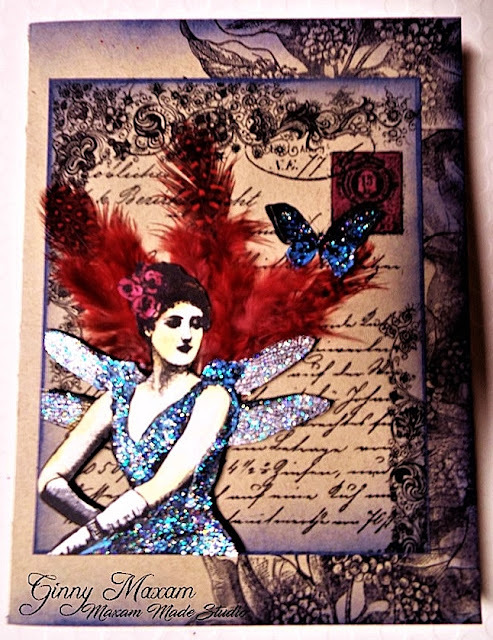 What an amazing card Ginny - love the glittery frock and the wonderful wings and feathers.